The African American Theater Arts Troupe presented Blues for an Alabama Sky, by Pearl Cleage. This production proved to be very successful both in terms of performance, as well as outreach. This production consisted of 17 students and 1 community member. 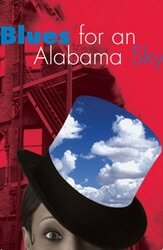 Blues For An Alabama Sky, opened at Theater Arts Second Stage on February 15, 2001. Approximately 800 students and community members during its tour-performance run attended it.The following three weekends AATAT presented a fourteen -night performance run at the Monterey Peninsula Community College Main Stage. The cast and crew stayed for three nights at the Holiday Express in Monterey California. Each night we had well over 200 attendees. I am honored to state that Vice Chancellor Anderson of MPC was helpful in creating wonderful reception venues, giving us the opportunity to meet and socialize with interested community members before and after our performances. This gave us the opportunity to speak with parents and potential students about UCSC. It is the summer of 1930 in Harlem, New York. The creative euphoria of the Harlem Renaissance has given way to the harsher realities of the Great Depression. Young Reverend Adam Clayton Powell, Jr., is feeding the hungry and preaching an activist gospel at Abyssinian Baptist Church. Black Nationalist visionary Marcus Garvey has been discredited and deported. Birth control pioneer Margaret Sanger is opening a new family planning clinic on 126th Street, and the doctors at Harlem Hospital are scrambling to care for a population whose most deadly disease is poverty. The play brings together a rich cast of characters who reflect the conflicting currents of the time through their overlapping personalities and politics. Set in the Harlem apartment of Guy, a popular costume designer, and his friend, Angel, a recently fired Cotton Club back-up singer, the cast also includes Sam, a hard-working, jazz-loving doctor at Harlem Hospital; Delia, an equally dedicated member of the staff at the Sanger clinic; and Leland, a recent transplant from Tuskegee, who sees in Angel a memory of lost love and a reminder of those "Alabama skies where the stars are so thick it's bright as day." Invoking the image of African-American expatriate extraordinaire, Josephine Baker as both muse and myth, Cleage's characters struggle, as Guy says, "to look beyond 125th Street" for the fulfillment of their dreams.